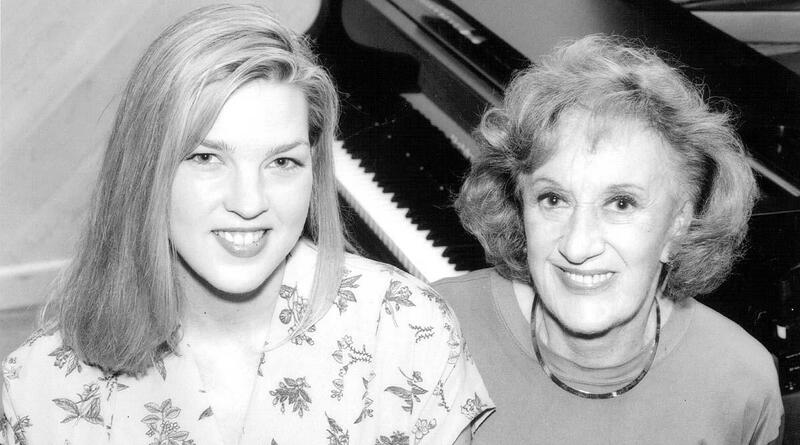 Diana Krall was one of the many guests Marian McPartland welcomed to Piano Jazz over its long run. Trumpeter Mark Rapp conceived of the series with the Koger to make use of the facility's beautiful lobby space for concerts that would be more intimate than would be appropriate for the Koger's larger concert hall. He couldn't think of a better way to kick things off than with the music of McPartland, who he said had a slightly different approach to jazz songwriting. "She could do a standard 2-5-1 chord model, but the next chord would be something surprising, it's like 'why in the world would she do an A-flat there? That should not make sense.' And it totally does. It just makes it so much more rich." Shari Hutchinson, who produced Piano Jazz for South Carolina Public Radio for many years, said McPartland hosted both the giants of jazz and relative unknowns who were great musicians but had not had the renown achieved by the likes of Tony Bennet or Oscar Peterson. But her musical tastes were wide, and she didn't confine her guests to just jazz. "She also loved the music of Willie Nelson, and Charlie Watts of the Rolling Stones. So it didn't matter that it may fall into a country or rock or classical genre. It was just good music." Hutchinson called McPartland a musical chameleon because she could easily adapt her style to the style of any guest she had. She also periodically created spontaneous musical portraits of her special favorites. "And it was amazing how she could capture the guest's personality, musical style, even their physicality," said Hutchinson. "It was jaw-dropping." The producer said McPartland would have loved having her music played for the opening of the new Live in the Lobby series. Rapp added that the honor was his to start the events with a tribute to a jazz great with strong ties to South Carolina.